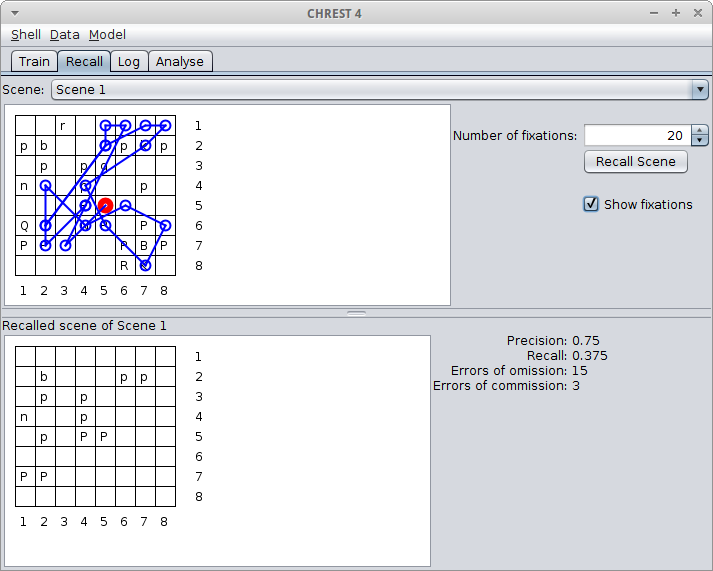 The CHREST software provides a graphical application and library for running a variety of CHREST models and experiments. 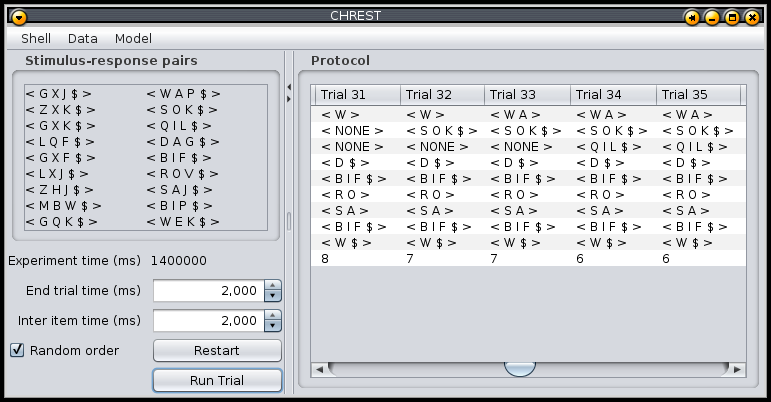 Currently, the graphical interface supports a range of domain-types for demonstration and test purposes. 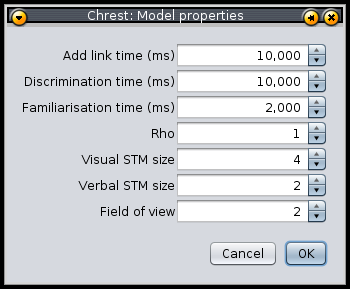 More functionality for developing models is available using the scripting interface. Sample data, examples of scripting and a user manual are included in the download and in the links below. 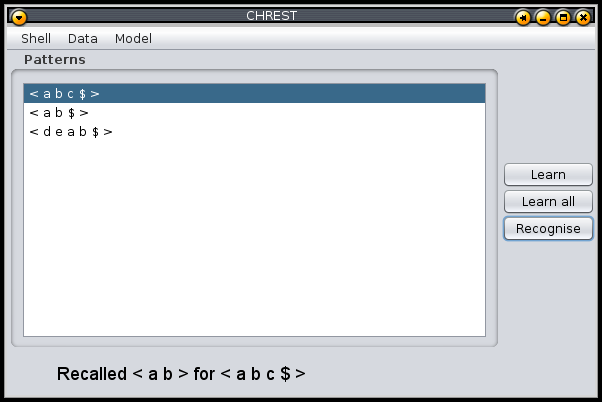 CHREST models can be developed using languages supported by the JVM. In most cases it is easy to call into a Java library using another JVM language, but some additional support is provided for Ruby and Lisp. ABCL is an implementation of Lisp on the JVM. The following zip file contains the ABCL and CHREST jar files and a lisp wrapper: chrest-lisp.zip. 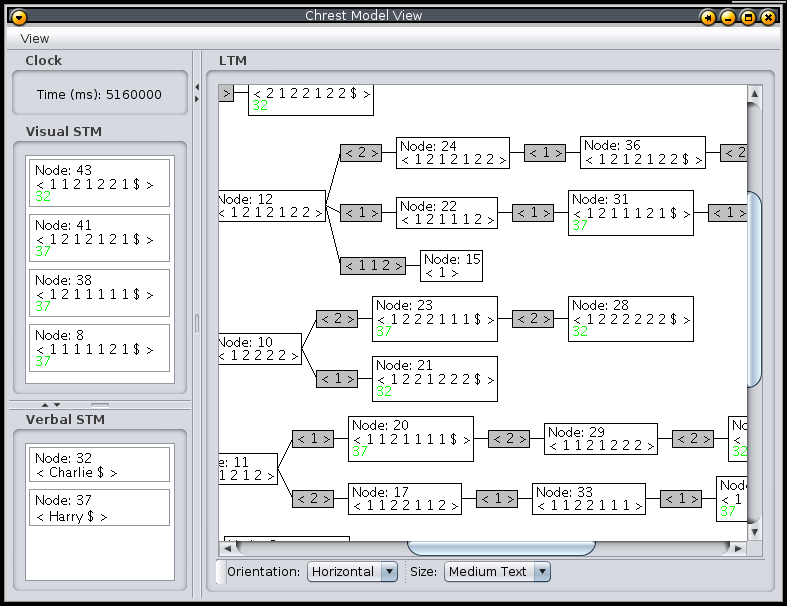 The iowa gambling task model is also included, which uses CHREST’s emotions module. Python is a popular language, although not much has been done so far with CHREST. 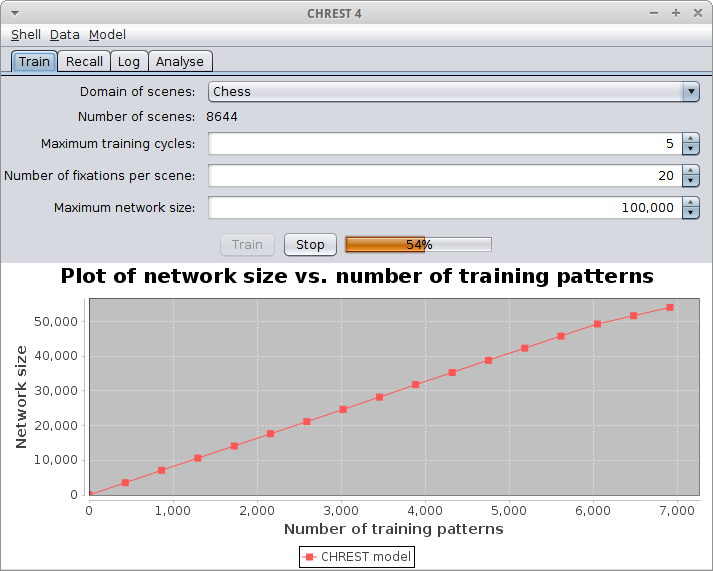 CHREST can be used from jython as a library: see the installation/running instructions in demo-1.py. The calling procedure into Python appears very natural, and you can use the javadoc documentation for CHREST without modification.